If you follow me on Instagram or Snapchat (@savvyhome), you probably already know the big news: in a few short weeks, I’ll be moving to New York City!! I can’t believe I’m finally typing these words—it’s been a long time coming (my friends can attest). I’ve been hinting at the big news for a while now, and it was hard to keep it for myself for so long! You might have noticed a lot of back and forth in the last couple of years, as I started making more friends down there and the weekend trips became more frequent. 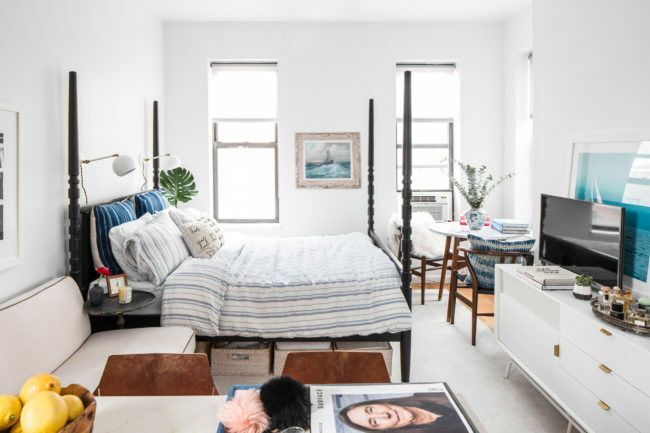 So when I got my position as Home Décor Editor at MyDomaine, and they asked me which office I would rather work from: New York or Los Angeles, the choice was clear! They were also happy with the choice since most of the editorial team is in LA, so I’ll get to cover most NYC-based design events, which I’m super excited about. I’m obviously very sad to be leaving my city, my friends, and my family. In the same token, I’m relieved that I’m only a short 6-hour drive, or 50-minute flight away. It means I can easily come back for just for the weekend, and my friends and family can easily come visit too. It’s a refreshing change from being a 30-hour flight away, like when I lived in Australia. I’m nervous about some aspects of big city living: not having a car, the crazy rent prices… But most of all, I’m so excited about what’s to come—the adventures, the opportunities, the lifestyle. Bring it New York, I’m ready! Save 20% off bedding + bath at Serena & Lily with the code NEWLOOKS. Get 20% off one item at West Elm with the code SAVE20NOW! What will it be? Get 20% off full price items at Sleepy Jones with the code SNOWDAY. 9 décor items to replace before you turn 30: Raise your hand if you’re turning 30 this year. 9 things we learned from one blogger’s boho home: Alicia Lund has style for days. 12 easy ideas for sprucing up your entryway: spiff up that first impression. 23 candleholders to brighten up your winter nights: your nights will never be brighter. 22 essentials for a Sunday Funday at home: you’ll never have to leave the house. Checking In With Some News! Oh hey! I feel like I’ve been absent around here lately! Miss me? If you follow me on social media, you might already have an idea of the news I have to share with you today. A few weeks ago, I accepted the role of Contributing Editor at MyDomaine. Eeek! I’m now responsible (along with a super-talented rockstar team of gals—and guy) for the home décor content and curated boutiques on MyDomaine. Hence the slight disappearing act. To be completely honest, I’m still pinching myself that I get to do this for work every day. Being an editor is something that I always aspired to, and it’s now a reality. And I’m loving every minute of it. The past two weeks have taught me the true meaning of “do something you love and you’ll never work a day in your life”. Even though I’m a little tired from putting in long hours across all projects, I feel more happy and accomplished than, possibly ever. 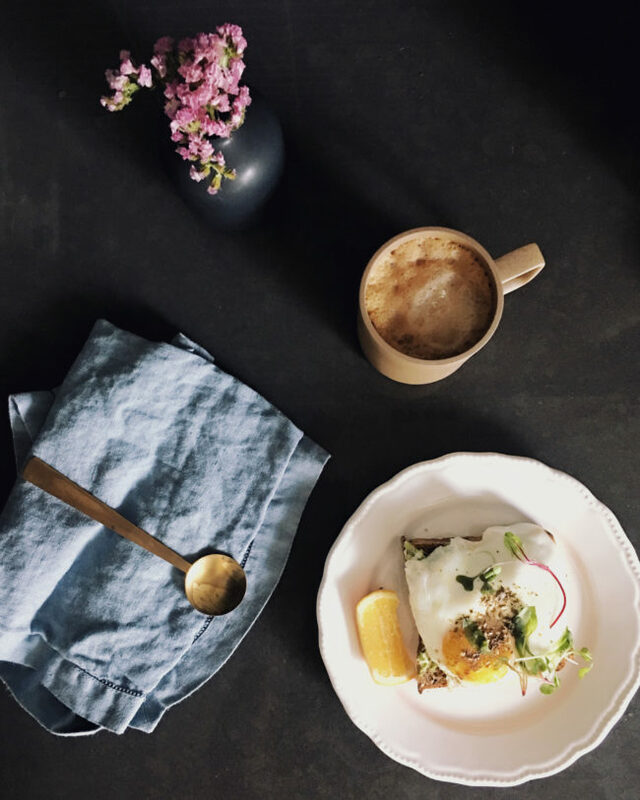 I’ve been a part of the blogger network at MyDomaine since its launch in 2012, and I’ve seen the site grow to become one of the most influential sources in home décor for millennials today. It makes me so proud and humbled to join the MyDomaine team to help drive this inspiring content to millions every day. In the past year, I have thought a lot about what the next step of my career should be. Savvy Home is, and always will be my passion project. I feel so lucky that I’ve been able to make a career out of it (so don’t worry, Savvy Home isn’t going anywhere)! With that said, I also knew that it was time to take the next step: I wanted to be part of something bigger, but didn’t necessarily want to lead it. Despite my slight workaholic tendencies (my friends will attest) I knew that scaling my company (or starting a new one) would mean putting my social life on hold for a few years, something I wasn’t prepared to do at 29. Even though I might have to scale back around here a bit, I’m determined to put in the overtime to keep bringing you great content on a weekly basis. Savvy Home turning five last month meant a lot because I was also turning the page into this new chapter. I never could have dreamed of being in this position at MyDomaine if it wasn’t for Savvy Home and all of your support since the early days. So I want to give you all a big thank you! For giving me the motivation to build Savvy Home into what it is today; for inspiring me to create original content for all of you! I’m so in love with this little community that we have built here over the past five years. And I can’t wait to bring Savvy Home into its next chapter. That’s how you have to look at it past a certain age right? I turn 29 today. Eeek! Only one year before the big 3-0. I’m strangely OK with it. As I’m approaching the end of my twenties, I look back at how much I’ve achieved, the friends I’ve made, who I’ve become, what I’ve experienced, what lessons I’ve learned… And it makes me proud and happy to be me. Sure there’s been struggles, hustles and mistakes along the way, but overall I’m satisfied about what I’ve achieved in the past 9 years and most importantly, I’m excited for the next chapter! Since I have one year left of my twenties, I thought I’d be a great time to make the most of it, and write down my 30 before 30 list. I couldn’t actually narrow it down to 30 things, so I have a bit of leeway with the list below. Cheers to 29! Move to New York. There I said it. Become trilingual. Learn conversational Spanish. Play tennis three times a week for a month. Say yes to everything for an entire week. Volunteer for a great cause. Read one book a month. Minimum. Completely unplug for a week. Find a workout buddy to step up my routine. Donate to a Kickstarter campaign. Organize a girls weekend somewhere I’ve never been. Get better at Instagram. Post once a day for a month. Take a cooking class with a chef I love. Take a wine tasting class. Make five recipes from my Pinterest board. Get a banana leaf plant and keep it alive. See a Broadway play (never did)! Jump into the water/ocean from 10m up at least. Get a client project published. Try 3 new hotels on my list. At least. Walk 10,000 steps a day for a week. Host a cocktail / dinner / game night at my place. Edit my wardrobe / hire a stylist. Cook a full breakfast for myself, just cause. What’s on your 30 before 30 list? Oh hey! Is everyone enjoying the last days of summer to the fullest? Great! I’ve been wanting to do a summer recap for a while now, and Garance inspired me with hers. So here we go. It’s not over yet folks! I’d love to hear your summer recap! Answer some (or all) of the questions in the comments below. Resolution of the summer To drink a cup of warm water with lemon AND a tall glass of green juice every morning (since I’m never hungry for breakfast). So far, so good. Song of the summer I’m still not 100% sure on that one, but I’m really digging the songs on my Soundcloud these days, especially this Bob Marley remake. Meal of the summer A tie between ZZ’s Clam Bar in NYC and Lavanderia in Montreal. Cocktail of the summer A Shark Attack at Mother of Pearl. Order it and you’ll see what I mean. TV Show of the summer I don’t watch a lot of TV (especially not when it’s nice out!) But Wet Hot American Summer is the funniest thing I’ve seen in a long time. Shortcomings of the summer I kind of forgot to workout on the reg. Oops! At least I improved my tennis and golf games. Shop of the summer MONC XIII. Love. That. Place. Party of the summer It involved the Hamptons house of former Hercules star Kevin Sorbo, a performance by JaRule and an unfortunate bush fire. It was on 4th of July. Iced latte of the summer Hands down Toby’s Estate Coffee in the West Village. I crave it every day. Pinch me moment Seeing my face in print magazine in the September issue of House & Home. Pick up your copy now, my apartment is featured. Eeeek! Bucket list moment Attending the Veuve Clicquot Polo Classic with a few gal pals. Been wanting to do that for a few years and it did not disappoint! Purchase of the summer The never-been-worn Burberry tunic I got at my aunt’s consignment store for a steal(sshhh)! Book of the summer Not that I read a lot (add that to shortcomings) but China Rich Girlfriend was the perfect beach read. Hotel of the summer Crow’s Nest in Montauk where I stayed last weekend with Lauren and Sam. Sean MacPherson, you outdid yourself again! Local haunt of the summer Montreal’s No Name Bar. The classic cocktails, the 50s music, the banana leaf trees, the tuxedo’ed waiters, the slow moving fans… it’s just so Casablanca. Ugh moment of the summer It’s a tie would be a tie between getting blisters til I bleed on my way to a meeting, or not being to find a cab in the pouring rain and walking 30 blocks in what I’m pretty sure were garbage water puddles. Yuck. Photo-op of the summer This one. Recipe of the summer Watermelon salad. I ordered it, made it endlessly in all it’s varieties. Yum. Destination of the summer With 7 times and counting since May, this one goes out to NYC. This is summer moment A crab boil with chef Chris Rendell of Surf Lodge and the Google Play Music team. We learned to make tuna tartare from the best!